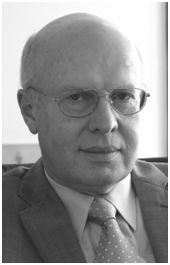 EFCE's first Scientific Vice President (1996-1998), Jacques Villermaux was a compelling an charismatic speaker who energised his audiences. At WCCE4 in Karlsruhe, Germany, his plenary lecture Strategies 2000: Challenges in Basic Research was termed "a fireworks of ideas." A scientist of international renown in the field of chemical reaction engineering, Professor Jacques Villermaux was a visionary of his time. "Werther to be awarded EFCE's Jacques Villermaux Medal"
In 1998, the European Federation of Chemical Engineering introduced the Jacques Villermaux Medal. The Medal was presented together with the Dieter Behrens Medal for the first time in October 1999, on the occasion of the 2nd European Congress of Chemical Engineering (ECCE-2) in Montpellier, France. "scientific achievements within the context of the Federation's science policy, working parties, conference programme or other related activities." Prof. Dr.-Ing. Joachim Werther, from the Hamburg University of Technology (TUHH), Germany, is the laureate of the Jacques Villermaux Medal 2015. Professor Werther, from the Institute of Solids Process Engineering and Particle Technology at TUHH, has been recognised for his outstanding scientific achievements in particle technology, with a career spanning more than 40 years in the field. He is regarded as an expert in fluidisation, chemical looping technology, solids process flow simulation and has had profound influence on problem solving within particle technology. The award was presented at the 10th European European Congress of Chemical Engineering (ECCE10) in Nice, France, on 28 September 2015.